This guide is out of date! You'll be redirected to our updated Homebrew App Installation Guide in a few seconds! If you see this message for longer than five seconds, click here to go to the updated guide. It used to be that you had to pick which phone best suited your needs. Now with the free Homebrew apps, patches, and themes, you can make your Palm Pre or Pixi work the way you want! You can be up and running with WebOS Quick Install in a matter of minutes. Come join the 300,000 PreCentral members already in on the secrets! Homebrew Apps are applications in the last stage of development ("beta testing"). Try them out and give your feedback. Patches add missing features to the Messaging, Email, Calendar, Phone, Browser, and other apps. Themes customize your screens and icons for hundreds of your favorite teams, games, logos, and more. The usual warnings apply. These apps, patches, and themes are under are not from Palm and are development - use with care. If you have any problems, see the Help section. To install apps, patches, and themes, you need to be a PreCentral member, set up your phone, and install some software on your computer. Please carefully follow each step. Just as if you are performing a Universal Search, start typing "upupdowndownleftrightleftrightbastart" without the quotation marks. Set Developer Mode to ON. Connect the USB cable to your PC, Mac, or Linux computer and select "Just Charge" when the phone prompts you. You just turned on the hidden Developer Mode! Some leave Developer Mode on all the time, but technically it's a security risk, so we recommend that you reopen Developer Mode Enabler and turn it off when you're done. Now is also the time to make sure that your webOS is up-to-date. Tap Launcher then Updates and Update as needed. 2. Update Java - On your PC, Mac, or Linux computer, click here to Verify Java. Let it update Java as needed. Mac OS X users need to run /Application/Utilities/Java/Java Preferences and drag Java SE 6 to top of both lists, and exit. Windows 7 users may need more help more help. 3. Install WebOS Quick Install - On your computer, download the WebOS Quick Install program by PreCentral member Jason Robitaille. Open the WebOS Quick Install thread and verify that it is current with your webOS. Right click on the Download Here link then Save Target to a subdirectory you will remember, maybe create a subdirectory named "Palm". After the WebOSQuickInstall.jar file downloads, click Open Folder (highlighted in yellow) then right-click the WebOSQuickInstall.jar file and click Open With and make sure that the default program is Java. Now run WebOS Quick Install. The first time WebOS Quick Install runs will take a while as it downloads and installs Palm's webOS Doctor and Novacomd software on your computer. You will need to restart the WebOSQuickInstall.jar file each time it automatically exits to install software for you. When asked to install WebOS Doctor, click Yes (highlighted in yellow below) so that WebOS Quick Install can use those files. Never run the WebOSDoctor.jar file yourself unless you want to erase everything on your phone and start over. When asked which webOS Doctor version, if your carrier is not listed, choose Sprint. Then make sure you choose USB Device. You will be prompted to Connect Your Device even though it is already connected. No worries. It just needs to install Novacomd so that it can see your phone. Just click OK (highlighted in yellow below). Once Novacomd installs, you will need to start WebOS Quick Install again. This time it should see your Pre or Pixi. If not, click Tools then Options then Attempt Novacom Reinstallation. Note the Panic Button in case you ever want to restore your phone to factory settings. If your computer says that it is looking for a Novacom driver, tell it to search in your C:\Program Files. It should be under C:\Program Files\Palm, Inc. Repeat the steps above if your "device" is not found. That's it! You can download using your PC so let's do a few now. You can also follow the Preware Guide to download most content directly to you phone "Over the Air." Homebrew apps are free applications in the final stages of testing. Hundreds of free titles cover battery life, podcasts, ebooks, GoogleVoice, comics, the Bible, plus dozens of games and utilities. You can click the Homebrew apps button (bottom left) to browse through the PreCentral Homebrew Gallery. When you find an app you like, click the third button down on the right (highlight with the arrow) to open the repository viewer. Option: click on the App title, Music Player (Remix), to learn more about the app (below) and then click Close (highlighted in yellow below) when done. Check the box next to Music Player (Remix) and click Download. (highlighted in green below) You can check off and download several apps at once if you so desire. Click Close (highlighted in blue above) when the download completes and then on the main screen click Install (highlighted in yellow below). You have just installed Music Player (Remix)! Tap the Launcher button on your phone and Music Player (Remix) will be the last app on the first page. Remix has 25 features the basic Music Player is missing! Repeat these steps to add more Homebrew Apps. 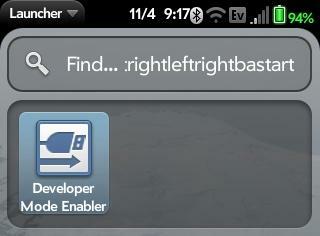 You remove a Homebrew app just like a regular app: press and hold the orange key and tap the app's icon in the Launcher. Then tap Delete. Before we move on, you might want to try a few other free apps. Battery Saver lets you set times to automatically turn your phone off and on so that a text or email does not wake you in the middle of the night. The LED Torch turns your camera strobe into a bright flashlight. Presteroids and Preopoly are some of the fun games. Patches let you add or change more than 100 features in webOS. The best part is that they are as just as easy to install as a Homebrew apps. Dozens of patches were featured in the There's a Patch for That series on PreCentral (Part 1, Part 2, and Part 3). Here is a full list of patches. Also note that the feature you want may just be undocumented. In WebOS Quick Install, click Tools menu and select Tweaks. 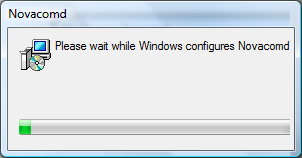 The first time you install patches you will see a warning and need to install some more software. Just keep clicking OK or Yes when asked. You may need to restart WebOS Quick Install and again click Tools then Tweaks. From now on when you click Tools then Tweaks, the the first screen (System Mods) will come up. In a minute you will see that some of these patches actually have several options. For now check iPhone user agent spoof (highlighted in yellow below) to make thousands of popular websites legible. Click Restart Luna (highlighted in green below). You just installed your first patch! Click Restart Luna to Restart your phone after adding or removing patches. Luna is the webOS user interface and must be restarted for patches to be applied. A Luna Restart is quicker than a normal restart. Nothing is erased. Do not click the Run EPR button (highlighted in red above) unless you want to remove all patches with the Emergency Patch Recovery app. Most patches are in the Online Repository tab (highlighted in yellow above) so click that and we will install the most popular patch, the Virtual Keyboard. Scroll down to select the Virtual Keyboard then click Install Patch (highlighted in yellow below). See There's a Patch for That (Part 1) for more on the amazing Virtual Keyboard. A patch is installed with a script and so you will be asked if it is OK to run the script. Click Yes (highlighted in yellow below) or Yes, always if you prefer. Before leaving the patches, try out some of our favorites. For your App Launcher, try the 4x4 v3 for 16 icons on-screen instead of 9! And they are just as big! Maybe try the Add MM/DD Date and Battery and Percentage in the Top Bar and put the Brightness slider where you can get to it quickly. The Launcher Auto-Popup patch makes your Launcher popup like a homepage when you turn on your phone. There is a world of great patches for the Email, Messaging, Phone, Calendar, and more. Remember to click Restart Luna after you have installed patches. You can also install the latest patch files from the PreCentral Patch Forum using these instructions. While a patch or theme is being installed or removed consider putting the phone in Airplane Mode and do not use the phone, messaging, or email and turn off other apps. Themes customize your screens and icons for your favorite teams, games, or other interests. More detailed instructions are here: How To Install Themes. Let's try a theme just for fun. The iPhone Black Launcher's background blends perfectly with your phone. The big iPhone style icons are so clear that you may need to turn down the brightness. Friends will be asking you "Is that a new iPhone?" Here's all it takes. 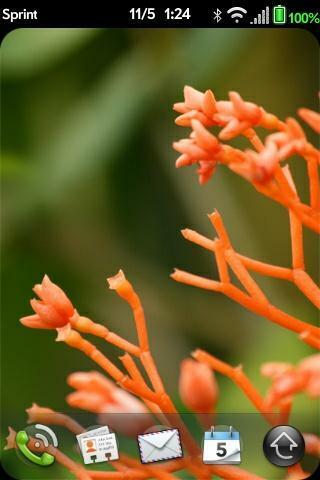 Click the PreCentral Themes Gallery and click on the theme you want, in this case click the iPhone Black Launcher. Right click on the Download link and choose "Save As..." to save the zip file to a subdirectory you will remember (maybe "Palm"?). In WebOS Quick Install, click Tools and then Themer. In WebOS Quick Install, click Tools and then Themer. Click Load Theme (highlighted in red above), select the zip file you just downloaded. Click Set Theme, and then Close. Done! You can also download thousands of other theme zip files from PreThemer. If you want to go all-out with the iPhone look, try the iPhone Theme. While a patch or theme is being installed or removed consider putting the phone in Airplane Mode and do not use the phone, messaging, or email and turn off other apps. If you installed a theme using WebOS Quick Install, use only WebOS Quick Install to remove it by clicking Tools then Themer and then Revert to Default (highlighted in yellow above). If you installed a theme with Preware, remove it with Preware. The programs work differently. NOTE: Always uninstall your old theme before you install a new theme. Failure to do so can result in ugly. Once the theme is removed, exit and then restart WebOS Quick Install to reset before installing another theme. That's it! You can now download Homebrew Apps, Patches, and themes using your computer. Check out the Preware Guide to be able to download most content directly to you phone without needing a computer or USB cable. You can remove Homebrew apps or patches just as easily using WebOS Quick Install. This time, open the Tools menu and select Device Management. Click Applications or Patches and then check each application or patch that you want to remove and click Uninstall. When you click Close, your phone will automatically restart if needed. See above for removing a theme. webOS Updates - Before you update to a new webOS, first remove themes and patches. Homebrew Apps do not have to be uninstalled before a webOS update. Remove all Patches - Click Tools, Tweaks, Run EPR, Yes, then Luna Restart. Remove a Theme - Click Tools, Themer, and then click Revert to Default . Stuck Patches - If you have a patch or theme that just won't uninstall, you can always use the WebOS Repair Utility. Click Option and then Override Compatibility. Or you can use Preware. 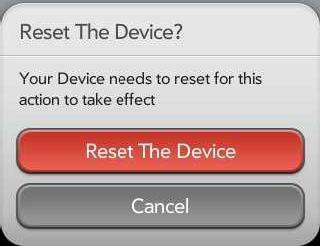 You can also restore factory settings by using the WebOS Doctor to remove all personal data. And by all, we mean all. PreCentral member Mortisemaker has put together an excellent Installing and Getting Started with WebOS Quick Install guide with 45 pages of detailed help. In addition, more forum members are always available to provide aide in the PreCentral forums. In particular, Windows 7 and Linux users may need some extra support. WebOS Quick Install - the main forum for help (try rebooting your PC first). WebOS Repair Utility removes all patches and themes. Click Option → Override Compatibility. How To: Restore a Seriously Ill Pre may help if your phone stops working. If you ask for help in a forum, please explain the problem and what you have done. If possible, take a phone screen shot by pressing Option (orange) + Sym + P at the same time. Connect your phone to your computer using the USB cable and select USB Drive - your phone will appear to your computer like a USB drive. When you make your post on the forum, click Manage Attachments to add the screen shot from the phone's screencaptures subdirectory. Craig Lincoln, aka Milominderbinder, is a moderator on the PreCentral forums and the developer of the Palm Pre Tips and Tricks. View Craig's recent articles. This Getting Started Guide is offered "As-Is" and without warranty of any kind. In no event shall the author or PreCentral be liable for any claim, damages, or other liability which may arise. Please post requests for installation help in the webOS Quick Install or Preware forums. Special thanks to Jason Robitaille, rwhitby, bpdamas, cas_esq, Colonel Angus, dBsooner, emoney_33, grndslm, Irish, jimhuff, maxima2k53, MortiseMaker, oil, pixielee, rlanza1054, Shadavis08, SirWill, smkcpa, stubbs, Templarian, wcarlson, west3man and so many others for your continued support for new users.